Many times in our life we experience some unseen powers assisting us in various ways. We feel that something is trying to give any hint. Suppose we are going to take a flight, suddenly some negative feelings (not so clear) come into our mind and we cancel the journey. We switch on the TV and see the news of air crash that makes us socked. Who forbade us? Where the indications come from? How cancelation message come into our mind? So many questions may come into our mind. These incidents prove the existence of invisible spiritual power. These spiritual powers are called spirit guides. Who are these spirit guides? We can think of spirit guides as unseen beings assigned to us before birth to help, guide or protect us. They are very amazing entities to guide through life. Spirit guides may stay throughout entire life or may pop in so often to guide in particular direction in some specific situation. Spirit guides are always there to help you, to indicate you and to guide you. Spirit guide can be thought as entity trying to connect your spirit to guide, to give direction and want to support the life. They are formerly human souls or some invisible energy power that are assigned to give us inspirational guidance to support us in decision making. 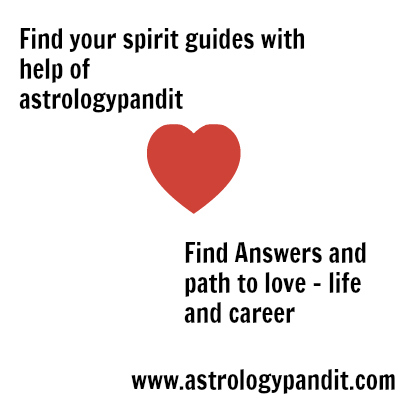 Spirit guide helps with different indications to guides us throughout entire life. You can feel their presence in different ways. Spirit guides are always with you to help you. 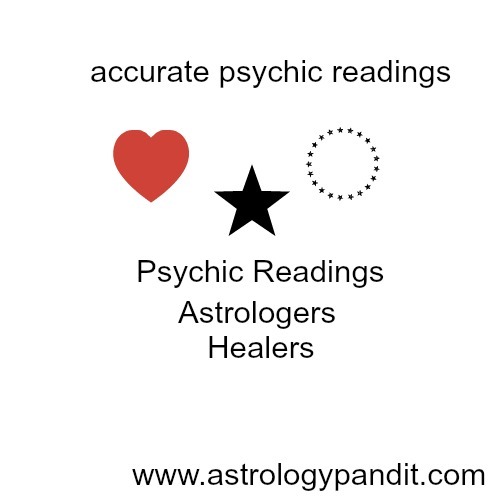 They help you to get rid of the problems as psychic readings help. Your desire is to make your imagination true. You wish to live maximum quality of your life. Your Spirit guide also wants to assist you to achieve your goal. You must be conscious about his messages and indications. Try to feel his presence around you. Try to see his light on your path. Spirit guides are always around us. They are to assist, guide and support us along our path of life. There are many specific Guides to help us in our life. They may pop in a specific situation. Despite this there is one main Spirit guide for all time called “Guardian Guide”. Our main guide is always with us, from birth until death. It gives us power and comes to our life to teach us that our life is not riding entirely on our own. Don’t think that you are alone in your life. An unseen energy is always with you. 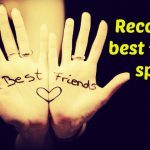 Your relationship with Spirit guide can improve your life style. This relationship is a powerful source for you for guidance, help, clarity, and insight on your path. Relationship with your Spirit guide will also dramatically enhance your spiritual life. Spirit guides can have different types and forms. You can feel it as a gust of air. They may be in any form or type you can meet them on your life path. You can have more than one, and most people often do. Below are some different forms. Sometimes you realize that soul of any family member recently deceased is trying to contact you. This soul may also be of long dead relative that you have never met in your lifetime. The messages and guidance of ancestral Spirit Guide are really life changing. Ascended masters can be thought of entities that have already lived on this earth but have become enlightened, and gone beyond the cycle of reincarnation. Ascended masters are ultimate Spirit Guide and gateways to the spirituality. Krishna, Jesus, Confucius, Kuthumi, Melchizedek, Mary the Mother of Jesus, Babaji, Gautama Buddha, and many others are examples of ascended masters. In different religions animals have been accepted as sacred representations. They are considered as spirit guides for a long time. Some ancient religions have sacred value for these animals. For example- Cow, Elephant, Falcon, Lion, Tiger etc. Worshiping Gods and Goddesses has become essential part of our life. Many times we feel the energy and power of God. Some gods and goddesses as spirit guides include Athena, Apollo, Lakshmi, Lugh, Kali, Hathor, Horus, The Green Man and Selene etc. Some times in a specific situation we can feel some special kind of light around us. This happens in the matter of Angels. Angels are around us to help and give message to us. This is accepted by whole world that everything in this world has have living energy in it. There is a soul in it. Sometimes this soul gives intimation for something. Plants are also well known Spirit Guides. If they are invisible, untouchable then how can they help us? Yes this is true that we can neither see nor touch them mostly. Though they are able to see what’s going on in our lives, and at the right time they come to guide us and intervene. They can help us in many ways. They use different ways to complete this job. Sometimes you see some event is getting repeated, that is a sign from your Spirit Guide to attract your attention and give a message. Guides can arrange synchronicities to alert you know about. Be alert and pay attention to those when they happen. As we get together in our world to meet and help each other, same the Guides do in their world. Spirite Guides create a meeting between their charges. Have you ever noticed that you are intending to make a call to your friend who is not in your city and just in a few minute you receive his call? You were thinking about your school time friend haven’t met him for a long time, suddenly you see him in a shopping mall. Is it just a coincidence or anything else? Sometimes you can experience an eerie feeling about any bad incidence going to be happening, but you save yourself. That might be a Spirit Guide poking you in your gut. Guides can poke you in the gut when you’re facing something and they want you to pay attention to. So following your gut feelings may be beneficial. Spirit Guides can give you flashes of intuition in your mind to indicate you. You want to make your friend your business partner, you realize that a sound is coming from your inside warning you that “he’ll cheat you”. Where these thoughts are coming from is not important, the main thing is information or indication. So making connection with intuition is a valuable source of information. Guides can force you in the particular direction they want you to go, or arrange for something to happen to you. Suppose you have to wake up very early in the morning to catch a train but you couldn’t hear the alarm and missed it, you got frustrated you missed important meeting of office. Unfortunately in the noon your father got heart attack. You took him to the hospital on the time and saved his life. Spirit Guides can arrange so much or nudge so hard. The more you can pick up on their clues, the better. You may be curious to know “Who is my spirit guide and how to talk to him?” This attitude shows your awareness for your Spirit Guide. Also want to know how to find your spirit guide or how to meet your spirit guide ? Finding your spirit guide can be life changing moment. Because you have met your loyal friend, who is assigned to help you through entire life. There are different methods explaining you how to meet your Spirit Guide? To start the journey toward finding your spirit guide, you must practice the meditation daily. This makes your awareness strong about presence your Guide. Everyone can contact these strange loyal friends. Finding your spirit guide or guides is possible, but commitment from your side is must to achieve this. Below are some necessary actions to be connected with your guide. A strong will to develop this ability in you is must. This will makes you able to contact your spirit guide. 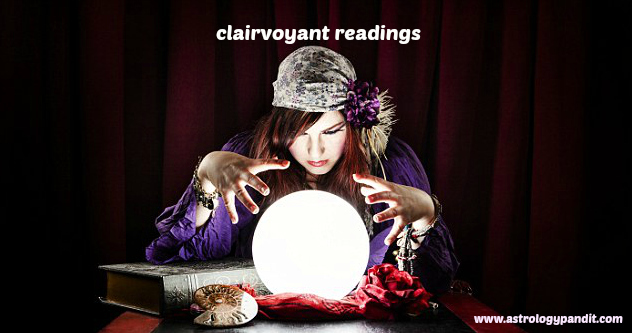 You might hear “Clairvoyant” word for the people who are able to hear to spirits. Clairvoyance does not mean talking to Guides. It’s meaning is clear seeing. This is ability to see psychic visions. Psychics or mediums use different ways to communicate with their guides. Some psychics have power of clairaudience, this ability makes them possible to receive the information from guides. 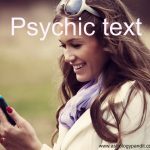 There are other psychic powers that make it easy talking to spirits. 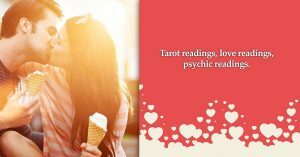 Many psychics have a combination of different psychic gifts to get information from spirits. 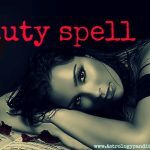 You are eager to know how to contact your spirit guide? Connecting to our Guides is extremely beneficial. There are few steps to teach how to connect with your spirit guide? First of all there should be a clear and strong desire in you to connect to a spirit. You must create a positive atmosphere to get connected with these forces. 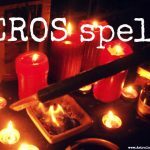 Clean and purify the room, light a candle, make the space fragrant, create a ritual atmosphere with sacred objects for connection. Make a Clear Intention in your mind. Your intention must be clear in your mind, make your questions clear. Make your heart full of love. 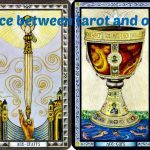 If your intention is clear and focused you can connect with these energies and get answers very well. Be patient and polite while practicing, keep patience and don’t get hurried, otherwise this will stop the connection. Make your body relaxed and breathe slowly, stress and tension can alleviate this energy. Chanting (Sacred Sounds) – Through chanting we create universal vibrations or sounds to connect our energy to the spirits. Be alert and pay attention – They can send their messages through visions, impressions, smells or thoughts. So be alert for everything you experience. Ask your spirit for a sign that affirms their presence. Express your gratitude – The gratitude is the only thing you express to your spirit. Attitude of gratitude is opening the door for more blessings. Bring purity and sacredness in your life – Join yourself with sacred places to enhance your psychic abilities. How does Spirit Guide give answer? We are not alone in our life. Our greatest and most loyal friends Spirit Guides are with us. We can have more than one Guide. These Guides are in our life to help us in various ways. There is one main Guide called “Guardian Spirit Guide”. Spirit Guides send a lot of messages all the day along but often we take it as coincidence and ignore them. A question may come into your mind that how does they reply us? You are about to buy something that you really desire, but don’t necessarily need. You have forgotten your credit card at home and don’t have enough money in the pocket. Next day you come with credit card but the thing has sold out. Spirit Guide could be indicating you that the item is not beneficial for you. You switch on your computer and start browsing, suddenly you see a folder given by your friend long time ago. After opening it you see some motivational videos you open one of the video randomly, strange! That is about your current situation. You find the solution also. Your Spirit Guide saw you in bad situation and forced you to run this particular video to get solution. Signs are often from the animal world or nature. You may see a white bird frequently. Every time you leave the house, a crow flies by and caws or you regularly see a pair of ducks. You may see or hear something frequently. For example you can see the “red” colour frequently. You can see a “red” rose on the road, you can see a person wearing “red” cap or you can see a “red” car crossing you many times. This may be an indication from Spirit Guide that something is going to happen in your life. You are repeating a song in your mind since morning. The same song you hear in the bus. At evening you switch on the TV and you see the program related to that song and singer. You are driving your car faster because you have hurry to get somewhere on time. You see every signal is red. May be this caution to you from Spirit Guide to slow down or stop, there are possibilities of accident. Your friend referred you a person for good opportunity to switch the job, you tried to call him many times but line was busy, you went to his office, he was out of city, when he came back the vacancy was full. 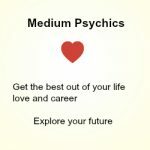 Could be Spirit Guide is indicating you that you should not change the job. Next day you got a happy news of promotion. You may hear conversation of two unknown persons that is similar to your situation.